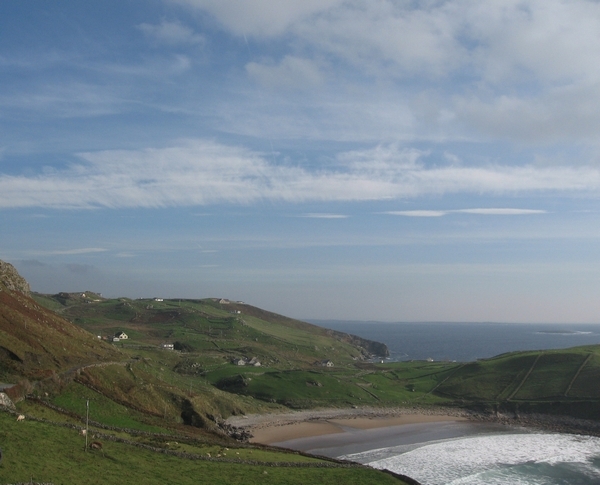 I came back to my parents’ roots in Donegal in 2001. I brought with me work and connections from all over the place and many connections lost along the way. Were you there in Northern Ireland in the tutorials with the late Seamus Heaney at Queen’s University, Belfast in 1968 or in the McMordie Hall listening to Nick Ross, Bernadette Devlin, and Derek Davis debate the plans for the next Civil Rights march? Or was it the hunger strike for Biafra at Belfast City Hall? Or were you the hosts of the party in Sandy Row when we graduated with some guests destined for greatness? Or later as many of us drifted to London and discovered women’s liberation? Or at Polymark where I sold labels? Or did we study together in Bognor Regis? Did I teach you in Stroud Green? The exile itch took me from teaching in London to Lancashire and Manchester. Those were memorable times: – campaigning for Women’s Aid refuges and conferences to lobby for changes in the law; Letra-setting headings for “Outcome” the gay magazine; weekends at Greenham Common; writing articles and newsletters. Paid work organising a youth opportunities programme for young unemployed was followed by work on Save the Children Projects with Traveller pre-school and health; with family centres; and youth projects in search of innovation and community engagement. Finding myself without a partner or children to consider, I decided pull up my English roots and transplant them. Writing “All Equal: All Different”, published by the Council of Europe in 1997 helped me make the transition. I cycled off the ferry at Calais on the day Tony Blair took office and took the train to Lille. Watch the film “Bienvenue chez les Ch’tis” if you would like to understand why the French found my love affair with Lille amusing. I managed to combine work in Lille with commuting to do work on the “Peace and Reconciliation” programme in the border area between Northern Ireland and the Republic of Ireland and laying foundations for a home base in Donegal. In Lille and then Brussels, I worked for European networks on European projects. I still dream of all those “multipliers” in local communities in Barcelona, Berlin, Brussels, Bucharest, Budapest, Copenhagen, Donegal, Dublin, Kokolla, Leeds, London, Monaghan, Oslo, Orebro, Rome, Sofia, Utrecht and Saarbrücken. Loss of a best friend, Ann Browne to cancer in 2000 in Brussels made me restless again. I moved to Donegal 2001 but maintained commitment to European networking, new friends, an extended family and a new life partner, Hans-Georg Rennert (Schorse), who lives and works in Berlin.